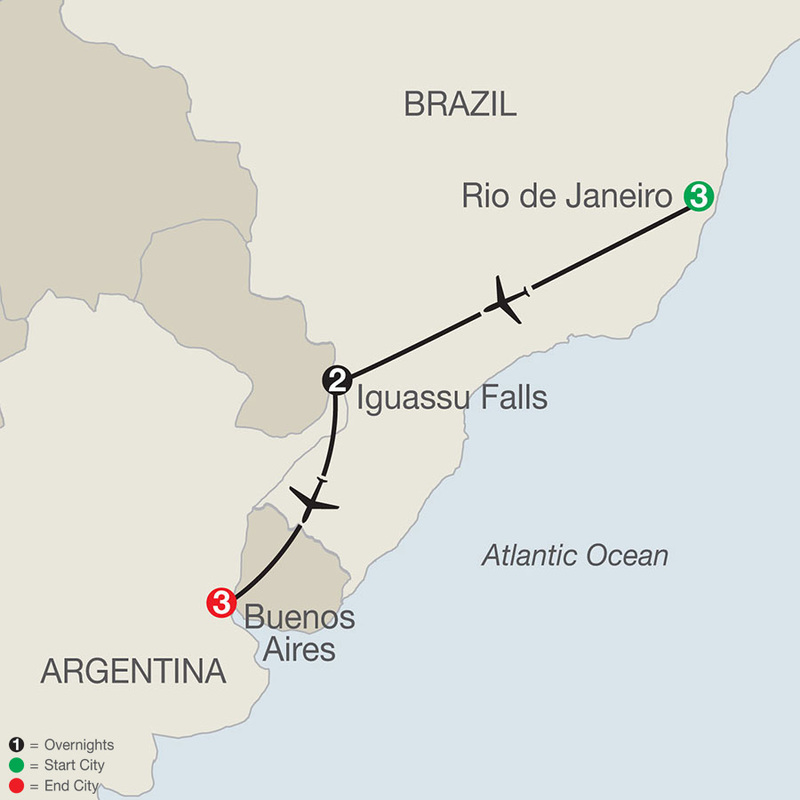 DAY 6 IGUASSU FALLS–BUENOS AIRES, ARGENTINA. Arena Leme Hotel offers contemporary beachfront accommodations in one of Rio de Janeiro's most quiet and relaxing neighborhoods. The hotel features indoor and al fresco dining spaces framed by ocean views, pool and poolside bar, fitness room, and complimentary Wi-Fi. Located in the heart of Buenos Aires, Grand Brizo Buenos Aires features an on-site restaurant, bar, rooftop with incredible views of the city, 24-hour room service, and complimentary Wi-Fi.